How much money will you spend on an advent calendar this year? £5? £20? Or, if you’re a lover of old and rare whisky, how about £10,000? 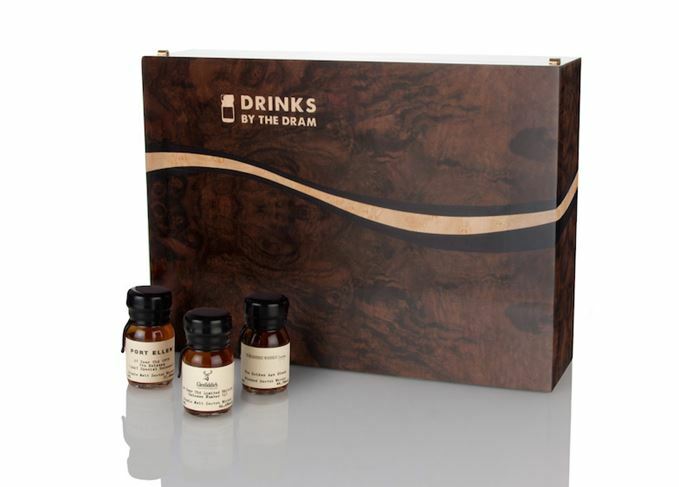 The Drinks by the Dram Very Old & Rare Whisky Advent Calendar – a wooden box in walnut or macassar ebony, designed by cabinet maker Simon Jewell Designs – contains 24 miniatures (30ml) of some of the world’s rarest and most sought-after whiskies. They include liquid from long-closed distilleries, a 60-year-old single malt and a whisky worth up to £19,000 a bottle. The release is a development of last year’s Old & Rare Whisky Advent Calendar and is priced at £9,999.95. However, it still has some way to go to become the world’s most expensive advent calendar: a Porsche calendar priced at US$1m included a custom-made motor yacht and a watch, while a €2.5m diamond advent calendar from Biegel Schmuckdesign was named as the world’s most expensive advent calendar by the Guinness Book of World Records. This year’s Drinks by the Dram Old & Rare Whisky calendar is being sold for £999.95, with premium versions costing £299.95 and the standard Whisky Advent Calendar priced at £149.95. This year, there is also a Glenfarclas Whisky Advent Calendar (£399.95), That Boutique-y Whisky Company’s Advent Calendar (£249.95), a Single Cask Whisky Advent Calendar (£199.95) and a Scotch Whisky Advent Calendar (£159.95). Other new additions to the range include calendars devoted to Irish, American and Japanese whisky, and to Origin Gin.